If your birthday is before February 4, then your astrological sign is Dog, not Pig. Pigs don't have to do any farm work for human. They just eat, drink and sleep in the pen. They are treated as lucky animal in Chinese horoscopes. Horse is useful animal to human. They can do the job in the farmland. They also help people traveling. Pig spends most of time indoor and Horse almost stay outdoor. They shouldn't disturb each other. In Chinese Five Elements theory, Pig is in the Water group. and Horse is in the Fire group. Water and Fire are opposite elements. They should fight each other. But Pig and Horse can live peaceful. The following is the reason. Pig contains Male Water and Male Wood. Horse contains Female Fire and Female Earth. In Chinese horoscopes, Male Water of Pig and Female of Horse have attraction relationship. Male Wood of Pig and Female Earth of Horse also have attraction relationship. This means Pig and Horse look incompatible. but they can get along pretty well. This is a good lucky sign for Pig people in 2014. There are Moon Star, Money Star, Consumption Star and Sick Star appearing in year of Wooden Horse. The lucky stars and unlucky stars are mixing together. Comparing with the year of Snake, Pig people have much better luck in 2014. Basically Pig is Water and Horse is Fire. Pig will be busy to pull off Fire. 2014 is Wooden Horse. Wood of 2014 makes Pig smarter. That means Pig people will be very busy in this career. Pig people need lots of energy and brain power for their work. The Moon Star of 2014 implies a female friend or Oxorker coming to help your job assignments and career development. The career opportunity shows pretty good in 2014. Your income may increase from your job. Since the Consumption Star is around, you need to pay for your cost - time, energy and sweat to exchange the return or reward. If you don't have energy to do it, then someone else will take over your task. Therefore, you need to make sure you have good health and energy to face the career challenges. As long as not be lazy, you will have a great career achievement in the end of the Horse year. Horse contains Fire, which is related to money to Pig people. Wood of 2014 is connected to the wisdom to Pig people. This means Pig people will use their knowledge to earn their income. Another good news is that a hidden Money Star comes toward Pig people. Also, the social relationship is great to Pig people in 2014, Pig people may be able to receive good financial advices from closed friends or relatives. The increasing wealth is expected. Fire of Wood Horse is strong. Pig people will be deal with money event a lot. Although, Pig people have good money income luck. But their expense will increase in the same time. If you do too much on the risky investment or work with too greedy friends, then you still have a chance of money loss. The good approach is to spend money on your family members or relatives or to donate money to charity. You will feel your money spending is meaningful. If you are single, you have good opportunity to find your love in 2014. You may have difficulty to spot your style in the social activities. But you cannot judge people from the outlook or appearances, you have to try any possibility. The reason is Pigs don't like to run and Horses like to run fast. Their personalities are not quite compatible. Actually, Pig and Horse are compatible. They just like to weave their love story secretly. Since they don't like to announce their relationship in public, they prefer to talk softly, not loudly. If you cannot show your tender side, then it will take time to find your love. If you are in love or married, then your love relationship should be pretty well. However, if you hold on two love relationships simultaneously, then the love relationship might bring you big trouble, because an unlucky Killer Star is around. The Fire of Horse could burn your love to ashes. Pig is Water and Horse is Fire. Pig people might need to spend too much energy and brain power to handle career and money in the Horse year. There is a Sick Star appearing in 2014. When you are tired, then you must stop everything, then take a big rest. If you feel uncomfortable for a while, then you must visit your doctor. Do not forget your annual physical examination. If you are not in good health, then you have better not to visit patients in hospital. As long as you don't neglect your health, you will be fine in the year of Horse. You have read this article2014 Chinese Horoscope with the title THE PIG IN THE YEAR OF THE WOODEN HORSE | CHINESE HOROSCOPE 2014 . You can bookmark this page URL https://thehalflifeoflinoleum.blogspot.com/2013/12/the-pig-in-year-of-wooden-horse-chinese.html. Thanks! 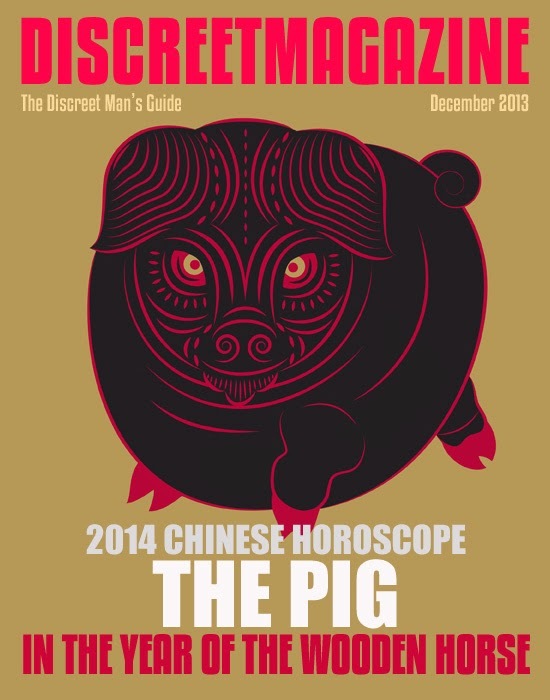 Comments "THE PIG IN THE YEAR OF THE WOODEN HORSE | CHINESE HOROSCOPE 2014 "